Mickey and the gang invite guests to this all-ages celebration of fun frights held on multiple nights each September and October. Tickets are on sale earlier than usual for this year's Walt Disney World Halloween Party nights. A collection of favorite spooky Disney villains at Walt Disney World. The final two dates are now officially sold out for the Magic Kingdom Halloween Party. Only four nights are sold out for this year's Halloween party so far this year. This past September, I made my 5th overall trip to WDW and the second with my family (DW, DS8, DD5). This was my first trip during September and I was able to enjoy two new elements to what is always the highlight of my year when I go to WDW. These two things were the lower overall crowd levels and the MNSSHP. Halloween is not necessarily my favorite time of the year, but I do not exactly hate it. I guess I am trying to say you should not read this assuming I am a 32 year old Halloween obsessive. I am not. My wife is, but I am not. First, the decor. They decorate the park, but honestly it was not as if they went overboard. Everything was tastefully done. Even with the decorations not being as in your face as I assumed, you knew you were in for a different night. 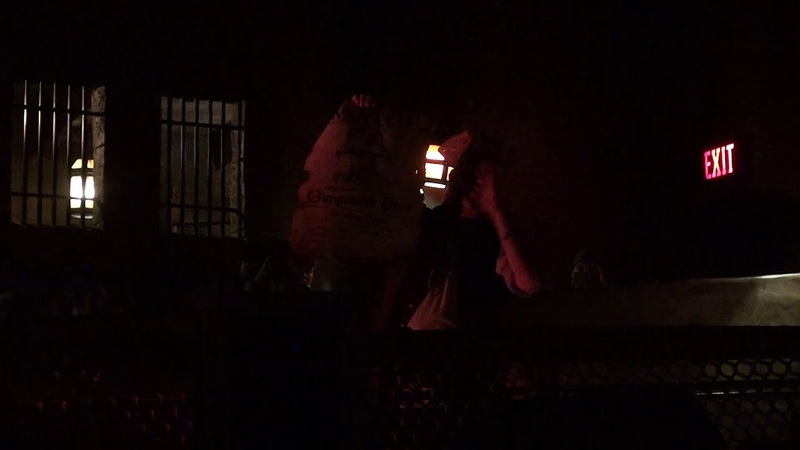 This was observed in the lighting used for both the Castle and Main Street. The Ghost Host voice-overs were also a nice touch. The characters available during the meet and greets were top notch. The Tremaines are a treasure. I have never seen them on property, though I do believe I have read they are part of a character dining experience. Maybe 1900? Anyway, you have the Tremaines, Seven Dwarves, Gaston, Jafar, Captain Jack, etc, the list goes on. All of that leads to the first of the two "Main Events"- Mickey's Boo To You Halloween Parade. This is kicked off by the Headless Horeseman's ride thru the parade route. I could go on about all the great characters and CMs, and it was great, but I will single out the Gravediggers and Hitchhicking Ghosts from Haunted Mansion. These guys sell it sooooooo well. And when the Gravediggers drag their shovels over the concrete and set sparks to flying, you absolutely realize that the $200+ extra you paid for this was probably worth it, until............ Your 5 year old daughter's legs get tired an hour prior to HalloWishes (the second Main Event) and insists on climbing on to your shoulders. At that moment you remember that after the last WDW trip you walked like an old man for a week because that kid dang near crippled you by doing this. But you wanna make her stop so you give in, and within an hour you are contemplating faking your death and hiding in Pecos Bills (aka the worst restaurant to have never given you food poisoning) until the coast was clear. But you don't do that. 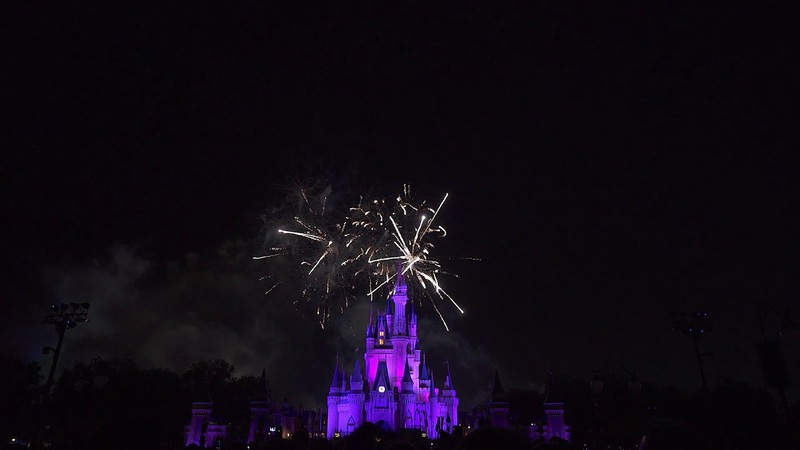 Instead you stay and experience a fireworks presentation that is, in my humble opinion, the best show Disney offers. We are already planning our next vacation. As it sits, and mainly due to MNSSHP, we are shooting for the second week of September 2014. Last October was my first experience with the Mickey's Not-So-Scary Halloween Party. It was the most fantastic event we have ever been to at Disney. Not only did we get to trick-or-treat as adults, which was fun, but the parade, fireworks and villan mix and mingle were just the best. There were characters out that you usually don't see and there were many opportunities for pictures. I just can't say enough about the fireworks and the music. It was just the best atmosphere and fun for kids from 3 to 83. We enjoyed the affects at the Haunted Mansion too. I just have no complaints. We enjoyed it so much we are going twice this year. I can't wait !! If you Love Disney and Halloween this is the event to be at... The two worlds collide for an amazing night of fun. You can dress up in a costume, go trick or treating in the Magic Kingdom, watch the AMAZING Boo to You parade and then the Halloween fire works display. Last year was my first time going to Disney World and I am 40 years old, wnet there for our 1 year wedding annivesary and it was magical. I Love Halloween so it made the time there even more Special. Will be back in October 2011 for my second trip there, 2 year annivesary, oh ya, and The Halloween Party!!!! Mickey's Not-So-Scary Halloween Party is an after hours, ticketed event at the Magic Kingdom. Guests can experience 'Mickey's "Boo-to-You" Halloween Parade', HalloWishes fireworks display, Hocus Pocus Villain Spelltacular and trick-or-treating throughout the Magic Kingdom. Hocus Pocus Villain Spelltacular - 8:30pm, 10:45pm, 12am. Hocus Pocus Villain Spelltacular - 8:15pm, 10:45pm, 12am. September 15 (Sold Out), 18, 20, 22 (Sold Out), 25 (Sold Out), 27 (Sold Out). October 1, 2, 4, 6, 8, 9 (Sold Out), 12, 13, 15, 16, 18, 20, 22, 23, 25, 27 (Sold Out), 29 (Sold Out), 31 (Sold Out). Hocus Pocus Villain Spelltacular - 8pm, 9:20pm, 10:40pm, 12am. 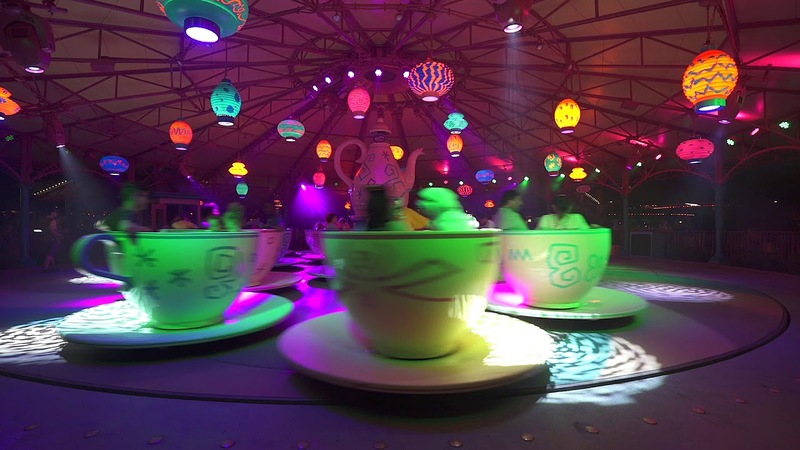 Learn more about the premium package including dessert party and preferred viewing locations. Advance Sales Pricing is available for all events except 10/10, 10/17, 10/24, 10/30, & 10/31. For events on these dates, only Same-Day Sales Pricing applies. Specially priced tickets are available to Disney Vacation Club Members and Passholders with the following Annual Passes: Premier Annual Passport, Premium Annual Pass, Annual Pass, Seasonal Pass, Weekday Select Pass, and Epcot® After 4pm Annual Pass for the following event days: 9/1, 9/9, 9/12, 9/14, 9/16, 9/19, 9/21, 9/23, 9/26, 9/28, 10/2, 10/5, 10/9, 10/13, 10/16, 10/19, & 10/21. Specially priced tickets MUST be purchased in ADVANCE. Passholders may purchase discounted tickets for themselves and up to three (3) Guests. DVC Members may purchase discounted tickets for themselves and up to five (5) Guests. Advance Purchase pricing is available for all events except 10/11, 10/18, 10/25 & 10/31. For events on these dates, only Same-Day Sales Pricing applies. Specially priced tickets are available to Disney Vacation Club Members and Passholders with the following Annual Passes - Premier Passport, Premium Annual Pass, Annual Pass, Seasonal Pass, Weekday Select Pass, and Epcot After 4pm Annual Pass for the following event days: 9/10, 9/13, 9/17, 9/20, 9/24, 9/27, 9/29, 10/3, 10/6, 10/10, 10/14, 10/17, 10/20, 10/22 & 10/24. Event Hours: 7:00pm – 12:00am. Event Hours: 7:00pm - 12:00am. 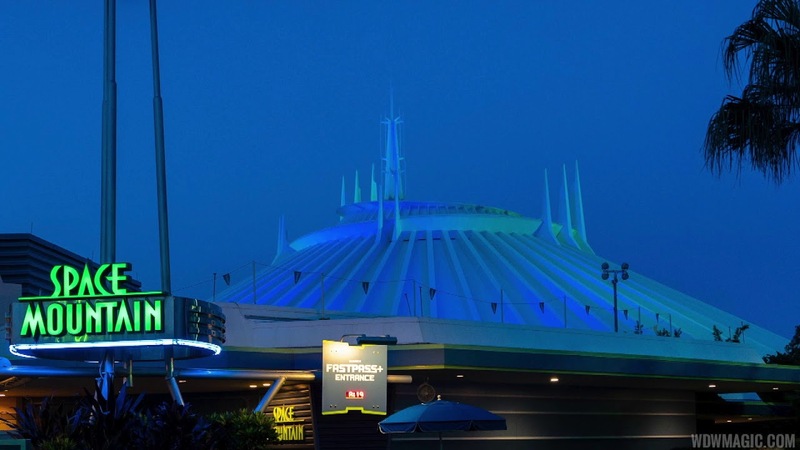 'Mickey's "Boo-to-You" Halloween Parade' at 8:15pm and 10:30pm. The parade beings in Frontierland and ends in Town Square. Event hours: 7:00 p.m. – midnight. Annual Passholder and DVC Member discounts are not available on 25 Sep, 8 Oct, 22 Oct, 28 Oct, 29 Oct, 31 Oct, 1 Nov.
Advance purchase discounts are not available on 8 Oct, 22 Oct, 28 Oct, 29 Oct, 31 Oct. Annual Passholder and DVC Member discounts are not available on 2 Oct, 8 Oct, 9 Oct, 12 Oct, 13 Oct, 15 Oct, 18 Oct, 20 Oct, 22 Oct, 23 Oct, 25 Oct, 27 Oct, 29 Oct, 31 Oct, 1 Nov.
Advance purchase discounts are not available on 9 Oct, 15 Oct, 23 Oct, 29 Oct, 31 Oct, 1 Nov.
Save 40% on your favorite MICKEY'S Not So Scary Halloween Party photos! This offer is good only on photos from tonight's party and is not valid in any other theme park. near Cinderella Castle, and at most character meet & greet locations.